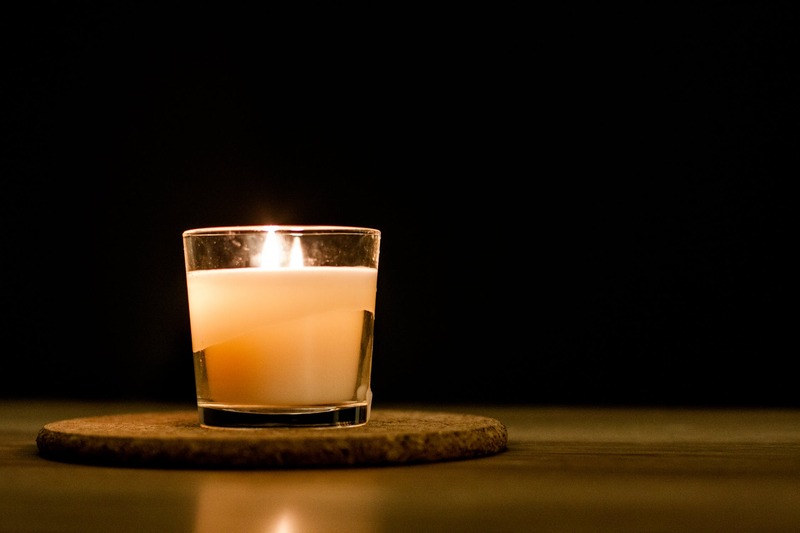 Springtime is nearly here and for many of us this means getting outside and busy making our gardens look nice again after the winter storms. One thing I’d like to get done this spring is to make a nice garden path to our shed so we can easily get to the bikes and tools in the shed, especially in the autumn and winter months without getting filthy. I’ve looked at laying down stepping stones that will work well as our garden is fairly small and flat. 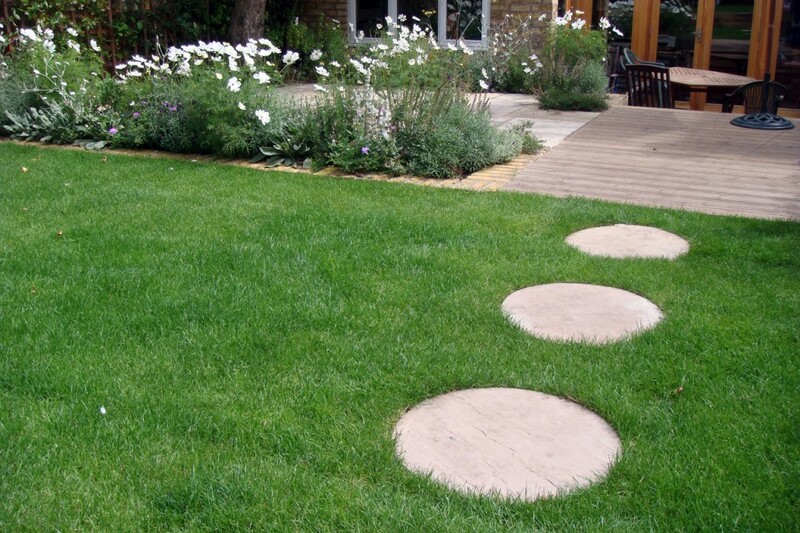 I had a look on the EasyPave website and I do like the look of their garden stepping stones. Laying garden stepping stones through the lawn makes a practical path and a nice feature whilst protecting the grass where traffic is heavy i.e. to the shed. 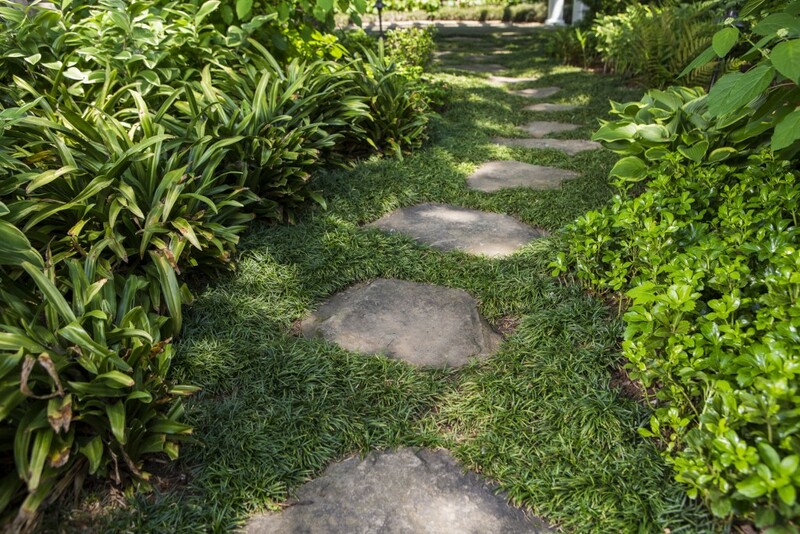 Here’s a collection of some garden stepping stones ideas if you’re thinking of doing the same. 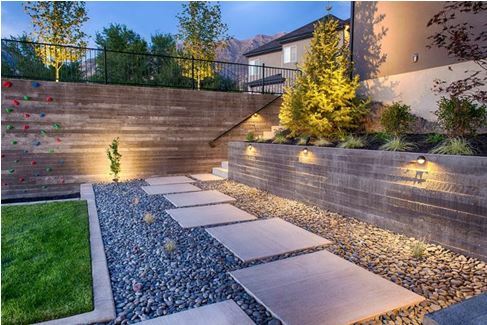 Love this ultra-modern look using recessed lighting and reclaimed fencing, these beautiful square stepping stones provide an outdoor haven in the heart of the city or a touch of modernity to a traditional setting. 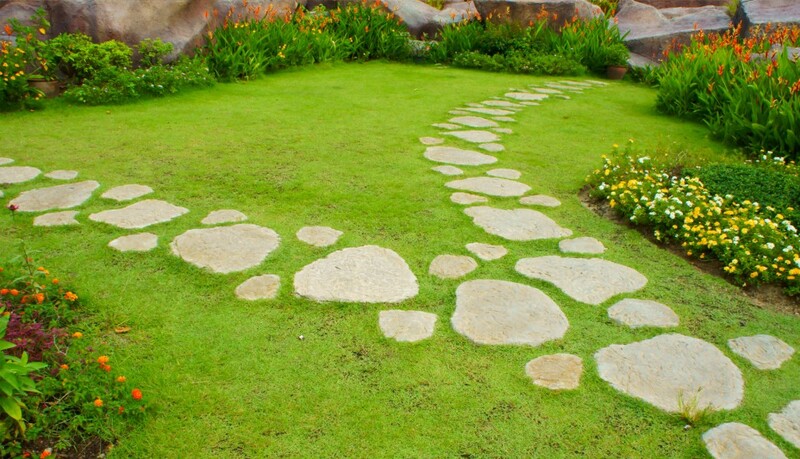 Simply, cheap and effective circular stepping stones in lawn. Word of warning – we have a flat level garden so stepping stones will work well…but if your garden has steep slopes then stepping stones won’t be suitable. 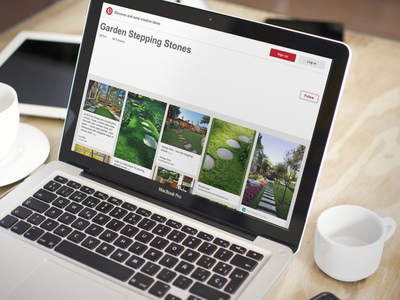 I’ve created a garden stepping stones Pinterest page (view here) which I always find a great way of bookmarking ideas simply using the ‘pin it’ add-on in Google Chrome.